Stats pulled from Petfinder,(1) (2) Forbes(3) and conversations with lovely pet owners. Stats pulled from Petfinder,(4) (5) Business Insider(6) and conversations with lovely pet owners. Most of the time you aren’t going to find a pet snake (why, though?) or hamster any place other than a pet store. But for cats and dogs, the debate can run hot on whether you should adopt from shelters or purchase from a pet store or breeder. This debate isn’t purely financial, of course, but we want to touch on these three options. And if you need a hypoallergenic pet so your kid doesn’t have a constant state of the sneezies, or a show dog to get you to Westminster, a breeder can help make that happen. But the price difference of going the store or breeder route is something budget-minded animal lovers should give some thought. Fur-real. Yet, you may point out, most shelter sweeties aren’t free. Aren’t you rescuing that pet? What’s that adoption fee going toward anyway? It’s going to the care of pets during their stay, plus many kinds of medical care you won’t have to worry about after the adoption. Whatever direction your morals, must-haves and money lead you, know you need to budget for all the initial costs of pet ownership—which leads us now to medical expenses. At the end of every episode of The Price is Right, Bob Barker or Drew Carey signs off, “Reminding you to help control the pet population—have your pets spayed or neutered.” Cars, vacations and bedroom suites aren’t the only thing given away on that show: Solid animal advice is too. Also, did anyone else notice the first host’s name was Bob BARKer? And he was an animal rights activist? Sometimes you just can’t make this stuff up. Back to business. Spaying or neutering can be a pricey expense, of course, but an important one to cover. Don’t forget, your shelter furbaby will most likely come home having already undergone this procedure. That’s a good way to save. Good pet parents also keep their pets up-to-date with vaccinations, preventions and tests, as listed in our charts. How do you make sure you’ve got the money for all your pet’s needs when they need it? We’re so glad you asked! Here’s a bark-down of three important ways to budget for your pet. Sinking fund. There are expenses that happen only once a year. But not planning for them ahead of time will ruin your budget like an untrained dog ruins your favorite slippers. So use EveryDollar sinking funds! What’s the total expense of that big annual vet visit, for example? Divide that by twelve months, put that much in the fund each month, and you’ll be feline fine about paying that bill in cash. Emergency fund. You’ve purrhaps heard about pet insurance policies, but we do not recommend them. Instead, create a pet emergency fund to use if you hit a surprise medical expense for little Smokey, Snowball or Spot. This way, if your furry friend lives a healthy and uneventful life, you haven’t paid out on a policy for no reason at all. Pet budget line. For all the monthly expenses, set up a budget line in EveryDollar for your pet. Don’t forget to track all those critter costs so you don’t overspend. Before we go, we’d feel just claw-ful if we didn’t give you a couple tips on how to save money on some of those pet expenses. Maybe don’t pay for the designer bags you literally fill with poop. Instead, reuse all those bags from your grocery store. If Rover needs more than the supply you get from shopping, look at your local everything’s-just-a-dollar store. Make an initial investment on grooming tools, and then do the work from home! Just as we advise for saving on your food, clip coupons and shop BOGOs for your pet’s food too. 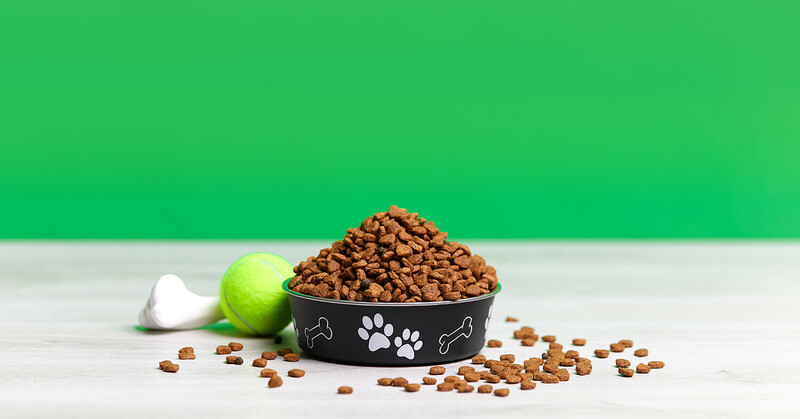 If you’re able, stock up when Fido or Fifi’s favorite kibbles go on sale. Shop around for your vet. Don’t just pick the one closest to home or with the cutest logo. Call multiple locations and ask friends with pets. You want someone with great pet-side manner and great prices—and you can get both. Shop around for medicines—including online options. You may be able to find the exact brands your vet recommends at a lower cost if you just do some internet searching. Don’t forget pets have to think about diet and exercise too. Well, technically they don’t think about it. You think about it for them. Don’t overfeed and do keep them active. Go on walks or buy toys that get them running around and having fun. These moments together are good for your wellness and your wooly roomie’s too. Dog person, cat person, lizard person (huh, that sounds like a sci-fi character)—if you’re an animal lover, it can feel wrong to think of your furry friend as a bill, bottom line or budget line. But being prepared for the costs of pet ownership doesn’t make you a bad pet parent. In fact, it makes you a pawsome one. So if you’re needing a furry friend in your life, start saving so you don’t get in pet debt. And be sure you’ve got those monthly expenses accounted for with their very own budget line in your free EveryDollar budget. Yes. Free. Get yours today and set up your first budget quicker than you can say labracadabrador. We love pets. You love pets. We love EveryDollar. You’ll love EveryDollar.